The links belowat the foot of this page record, in words and pictures, the celebrations of recent years. 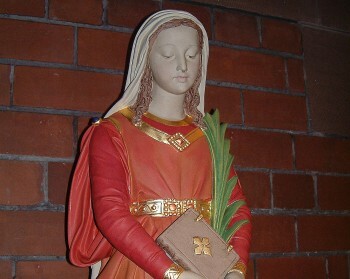 There are also, lower down, links to a range of other pages, featuring information (and legends) about Saint Faith and her shrine at Conques, in France and details of all the other churches (and places) associated with or dedicated to her in the UK and throughout the world - or at least the ones we know of! Sunday, October 5th - the Eve of the Feast of Saint Faith, Virgin and Martyr. Precaher: Fr Ged Callacher, Liverpool Metropolitan Cathedral. Sunday, October 6th - the Feast Day of Saint Faith, Virgin and Martyr. 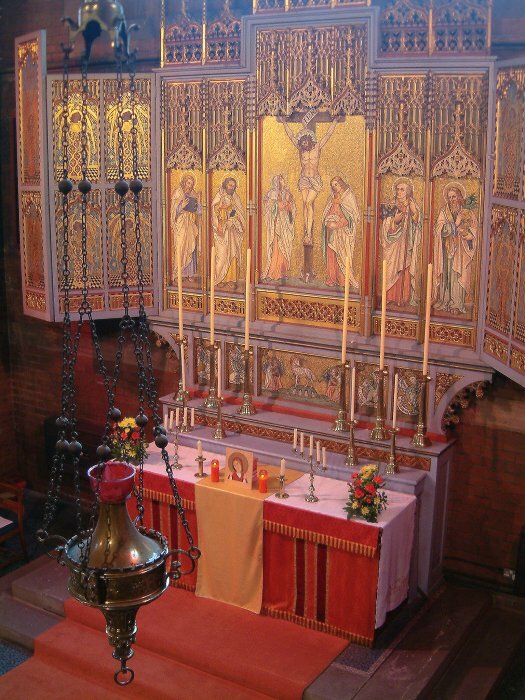 11.00 am HIGH MASS, followed by parish lunch. We welcome as our visiting preacher Fr Grant Holmes.